After a significant amount of research, WE chose the Triton® DTS system manufactured by the Chattanooga Group, the premier manufacturer of physical medicine equipment. More importantly, our system has the brand new 2006 computerized head which is the most sophisticated and technologically advanced unit in the world. 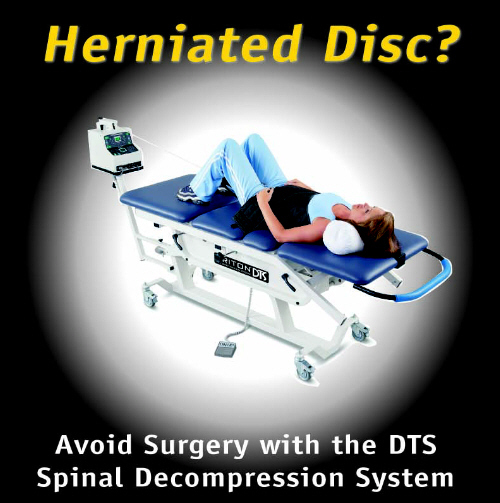 No office - and we do mean NO OFFICE - has a more "state of the art" spinal decompression system. The award winning Triton® computer is the key. It controls the variations in the traction pull allowing for spinal decompression and eliminating muscle guarding that is typical in conventional traction devices. The pre-programmed patterns for ramping up and down the amount of axial distraction allows for higher levels of spinal decompression and disc rehydration. Just call the Healing Arts Center of Lenexa at 913-894-4428 to schedule a consultation.